December 10, 1948: United Nations adopts Universal Declaration of Human Rights. 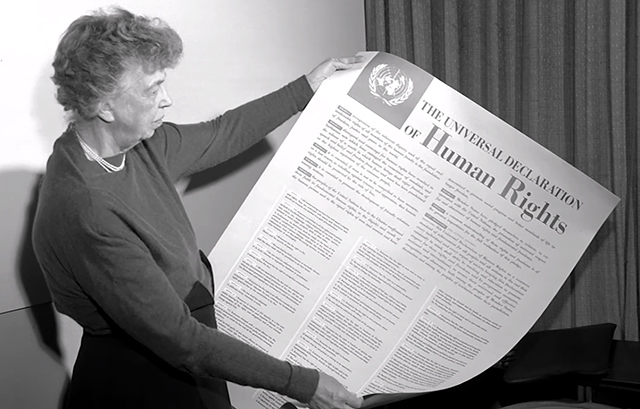 Anna Eleanor Roosevelt, longest-serving First Lady of the United States and Chair of the UN Human Rights Commission, holds the historic Universal Declaration of Human Rights, which includes Franklin Roosevelt's Four Freedoms. 1. Affirms its belief that respect for the principles of the Charter of the United Nations and of the Universal Declaration of Human Rights is essential for the evolution of a peaceful world order based on the rule of law; 2. 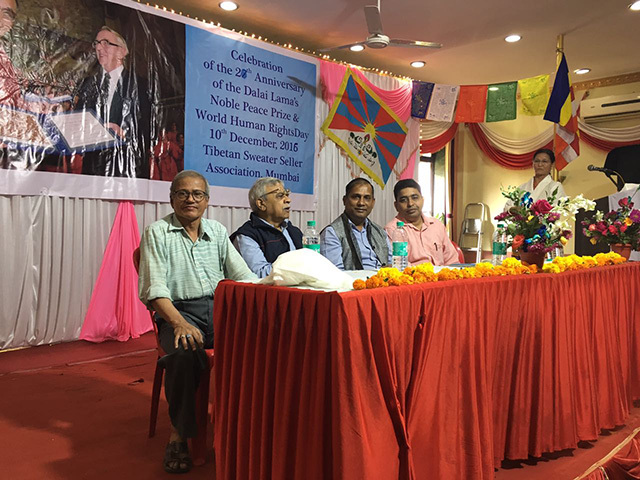 Calls for respect for the fundamental human rights of the Tibetan people and for their distinctive cultural and religious life. 3) Expresses the hope that Member States will make all possible efforts, as appropriate, towards achieving the purposes of the present resolution. Bearing in mind the principles relating to human rights and fundamental freedoms set forth in the Charter of the United Nations and proclaimed in the Universal Declaration of Human Rights. 5) Appeals to all States to use their best endeavors to achieve the purposes of the present resolution.